Don’t hate me. I spent another few days in the Adirondacks, this time in Raquette Lake. LOVED IT! This candle was on the fireplace mantle. 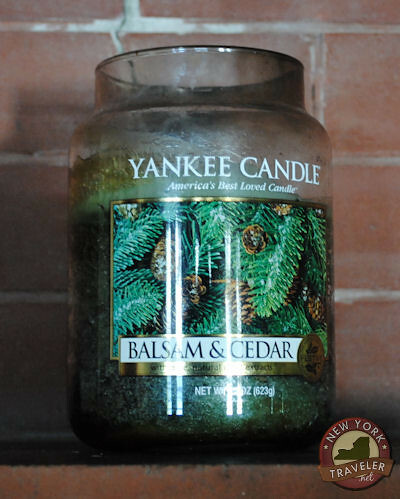 Best Yankee Candle EVAH! That’s the fragrance I would choose too! I burn these the entire holiday season. There is just something about the smell of a “real” Christmas tree. And I have a real one–they just don’t smell like that for weeks, unfortunately.